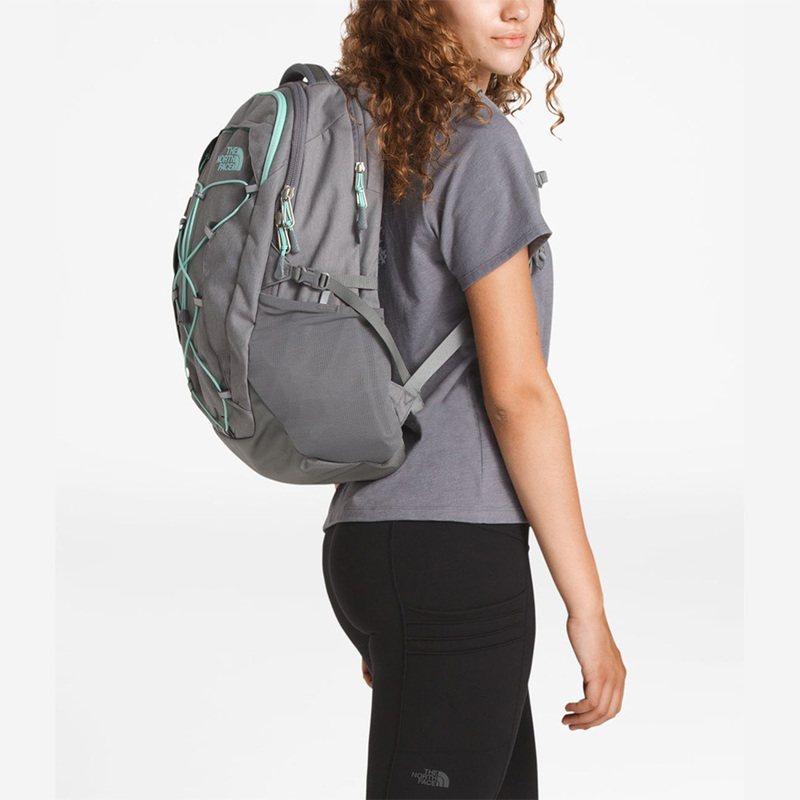 The North Face Borealis is a versatile backpack that can be used for anything from school to light travel. Its smaller size has made it popular with those who want a functional backpack without the bulk. Unlike the similar North Face Jester, the Borealis offers a separate laptop zip laptop compartment that is padded and fleece-lined to protect against bumps and falls. 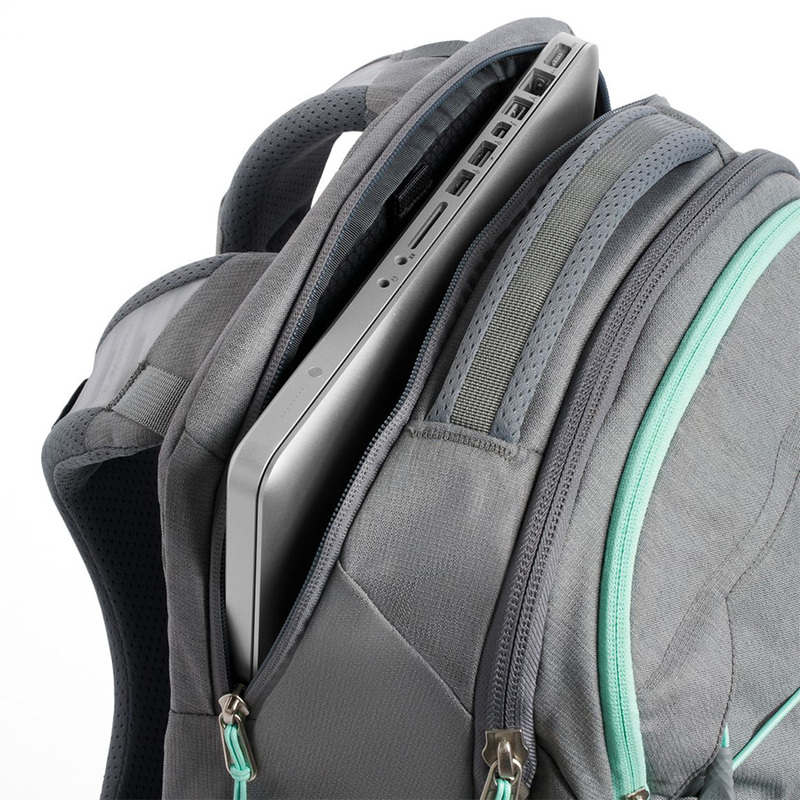 The front of the bag includes a smaller tablet pocket and an external bungee. The bungee is what gives the Borealis its old-school mountaineering look. Use the bungee cord is perfect for quickly stashing jackets, blankets and other larger items when you are on the go. Awesome fleece lined laptop sleeve. Our laptops and tablets feel protected. Good size for anyone looking for a medium sized backpack that isn’t too bulky. Bottom of the bag is curved making it hard for the bag to sit upright without leaning it on something. Not weather proof. Chances are that the inside of your bag will get wet if caught in a heavy downpour.